The AIHC is partnering with the Washington State Health Care Authority (HCA) to support tribes and urban Indian health organizations and regional ACHs in working together to improve population health. These efforts will include facilitated regional meetings. 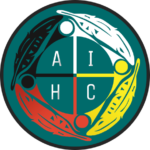 The American Indian Health Commission (AIHC) for Washington State is a Tribally-driven non-profit organization with a mission of improving health outcomes for American Indians and Alaska Natives (AI/AN) through a health policy focus at the Washington State level.